Benjamin Netanyahu has once again emerged as the man destined to lead Israel into the near future, but he wasn’t the biggest winner as the votes for the 21st Knesset were counted overnight. One of the major criticisms leveled against Netanyahu going into Tuesday’s election was that he routinely acquiesced to too many demands from the ultra-Orthodox Jewish parties in his quest to cobble together majority coalitions. Well, if Netanyahu’s tapped to form the next government, and he’s all but certain to be called upon to do so, the demands from the two Orthodox parties, Shas and United Torah Judaism (UTJ), are likely to be exceptional in scope. And Netanyahu will have no choice but to comply. In other words, all those Christians and Messianic Jews who were hoping, for example, that Shas wouldn’t again be handed control of the Interior Ministry or that the Rabbinate’s monopoly over marriage in the Holy Land might finally be weakened can forget about it. Netanyahu is going to again support the draconian policies of these parties, because he can’t forge a ruling coalition otherwise. In fact, neither side can. 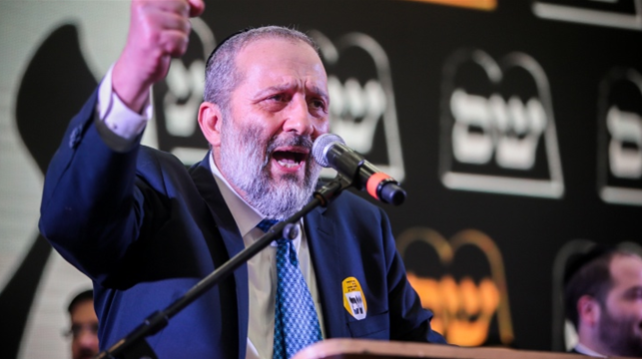 The ultra-Orthodox parties again find themselves the true kingmakers.